Very few players have the impact that matches what Shaquille O’Neal has brought to the NBA ever since he first stepped on the basketball court. The self-proclaimed MDE(Most Dominant Ever) has been an unstoppable force that every team fears. There were only a few who could match his production, and almost none who exceeded them. We shall take a look at the best aspects of Shaq’s game and how he dominated the floor each and every night. 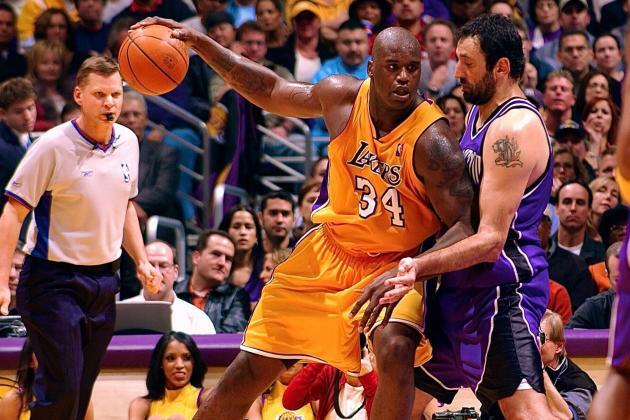 What’s fairly obvious just from seeing O’Neal, is his immense strength. His massive frame requires a lot of strength just to move, which makes it amazing to see him move around the court, especially during his Orlando days. His strength allows him to bulldoze his way inside for the easy basket, and also allows him to body up anyone that he’s defending. He does not have a lot of post moves, which is really not that important since his strength allows him to move straight ahead without worrying about the defense. 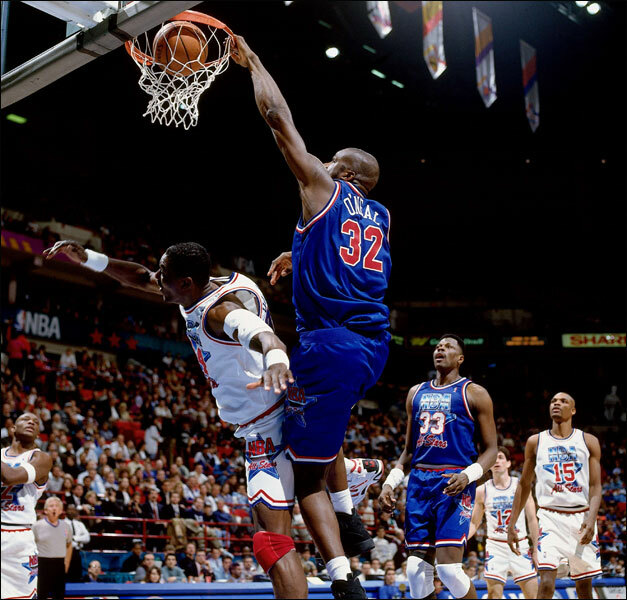 One of the most surprising things about Shaq especially the first time you see him play, is his incredible athleticism. Despite his massive frame and sometimes out of shape state, he can run the floor, jump for blocks and rebounds, and move quickly around the rim. This makes him very hard to game plan for. With his back to the basket, he can either bulldoze his defender or move around him using his quickness. This makes him impossible to guard on a one on one situation. 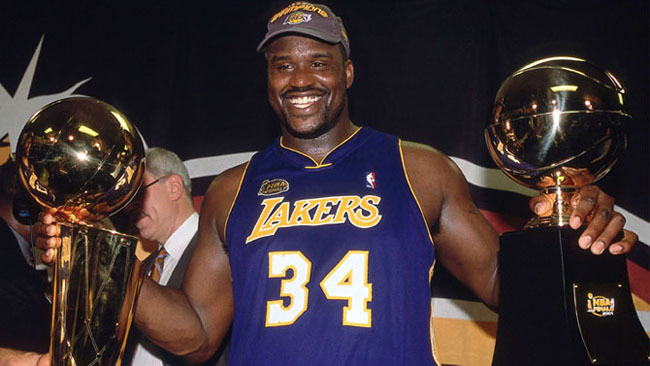 One of the most underrated characteristics of Shaq is his mental toughness. Due to his frequent battles with his weight and his goofy persona off the court, people have this impression of him that he does not take the game seriously. However if we take a look at some of his biggest games, especially the playoffs and finals, it’s very rare that he has an off-night and he has proven to frequently hit his free throws whenever the game is tight. This makes him one of the toughest minded competitors in the league. While he was not as dominating for a long time that everyone expected him to be, Shaq’s impact on the league was felt in every city throughout his prime. Even when past his prime, he helped Dwyane Wade and the Miami Heat win their first ever championship, thanks to his inside presence which helped D-Wade transform into a prime time player. He has also feuded with a few of his teammates and coaches but everyone knows that every time you have Shaquille on your team, you will contend for the championship every year.